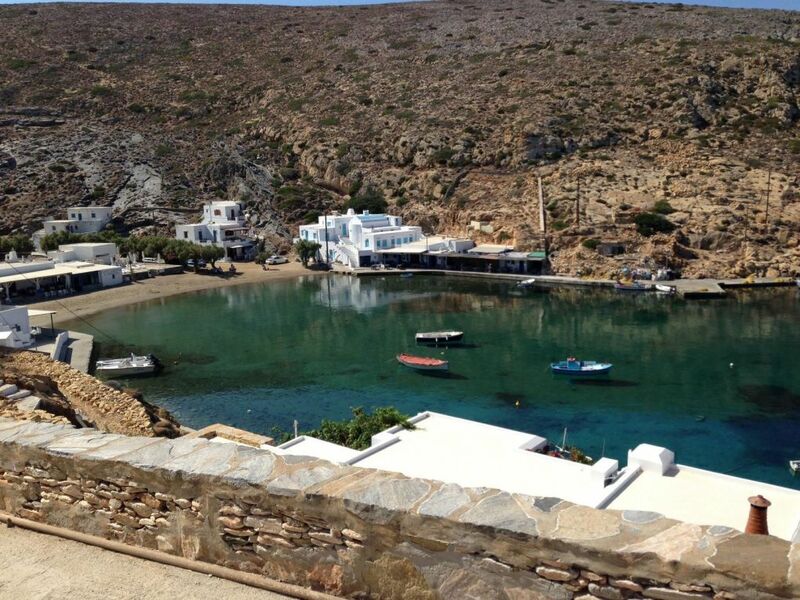 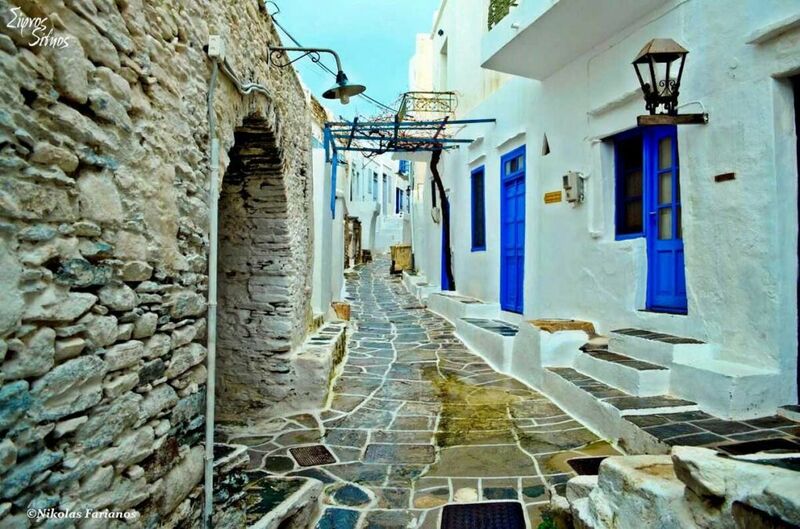 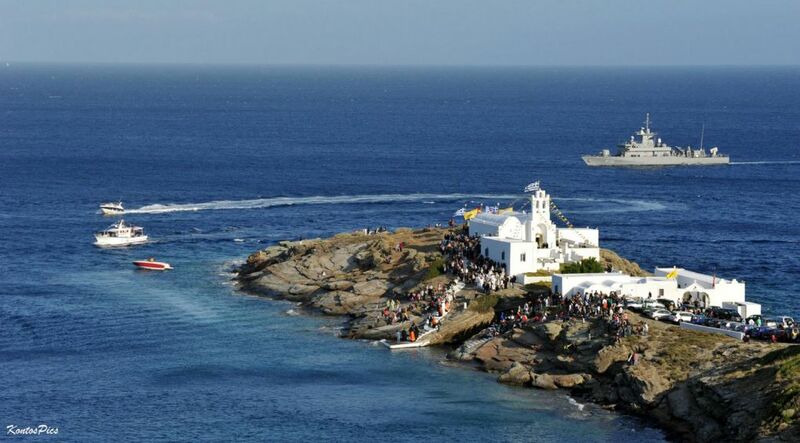 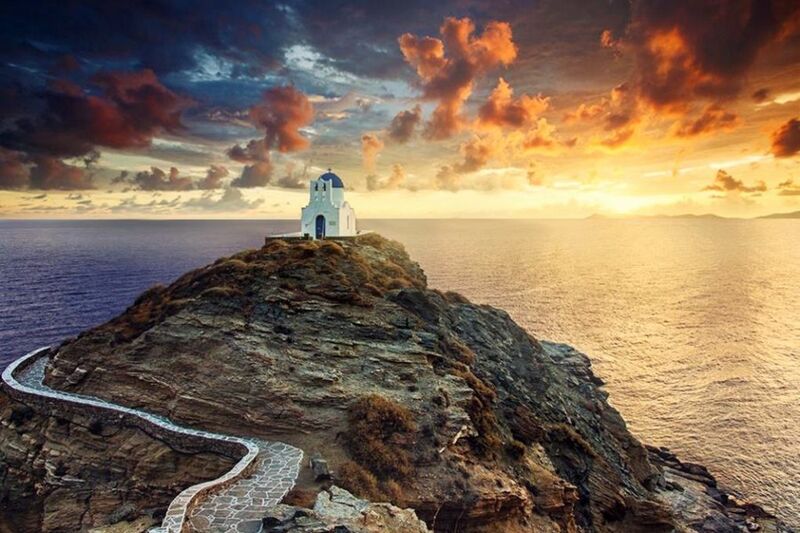 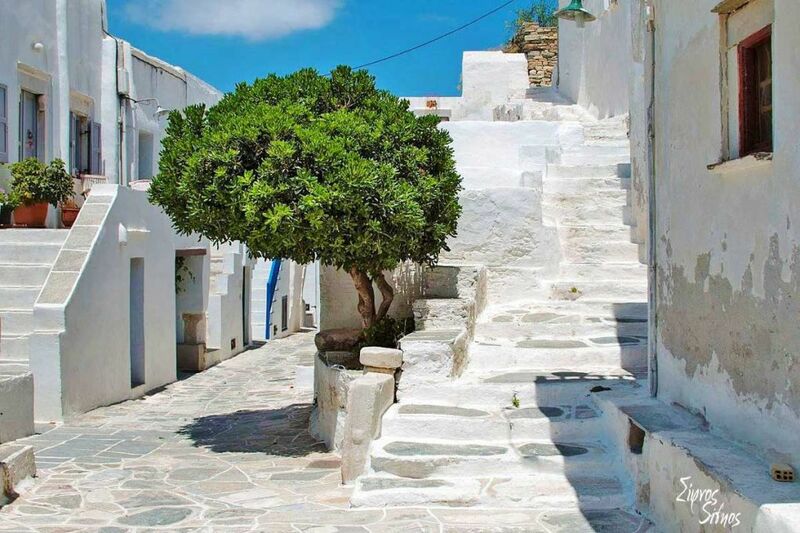 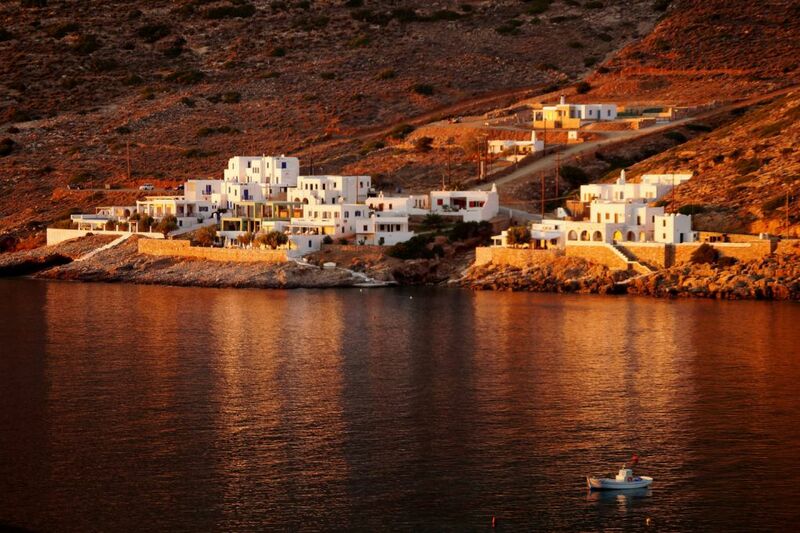 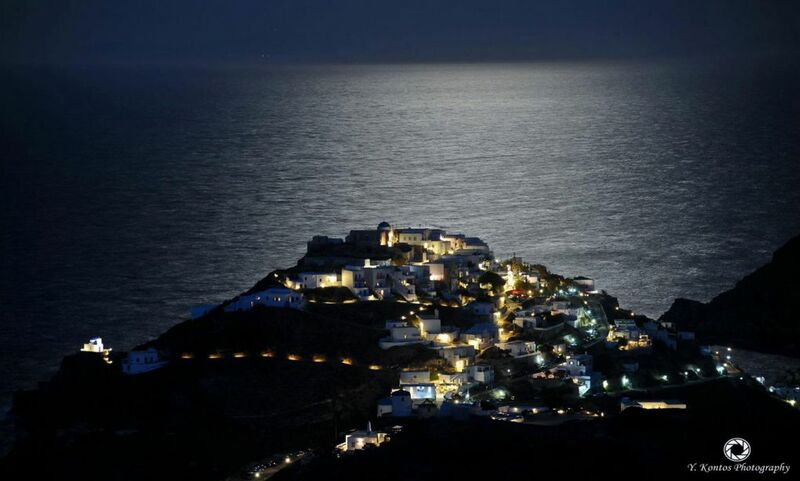 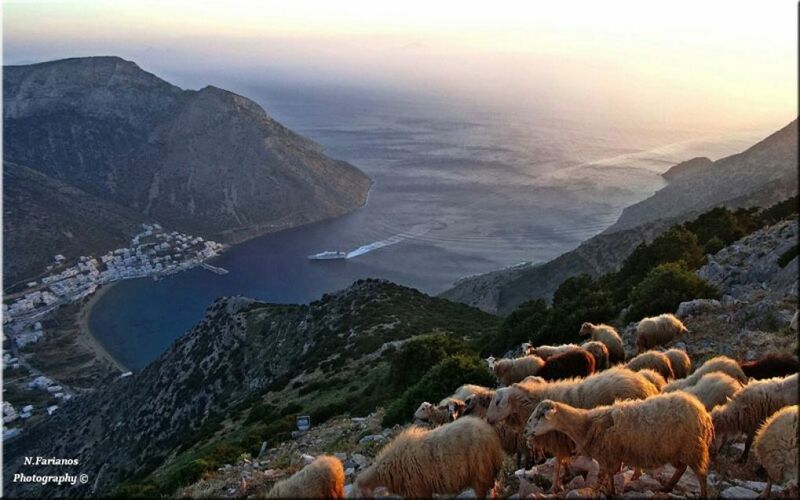 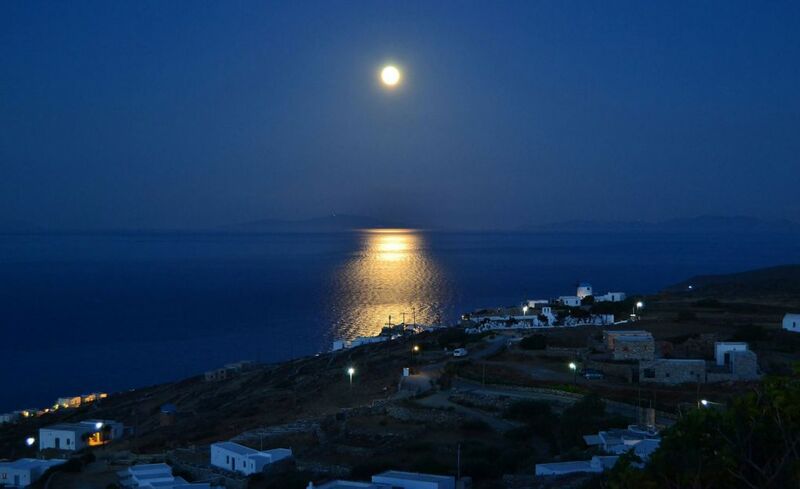 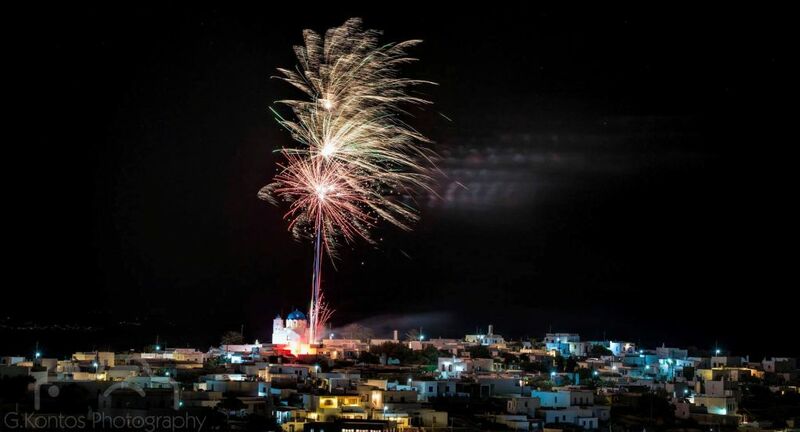 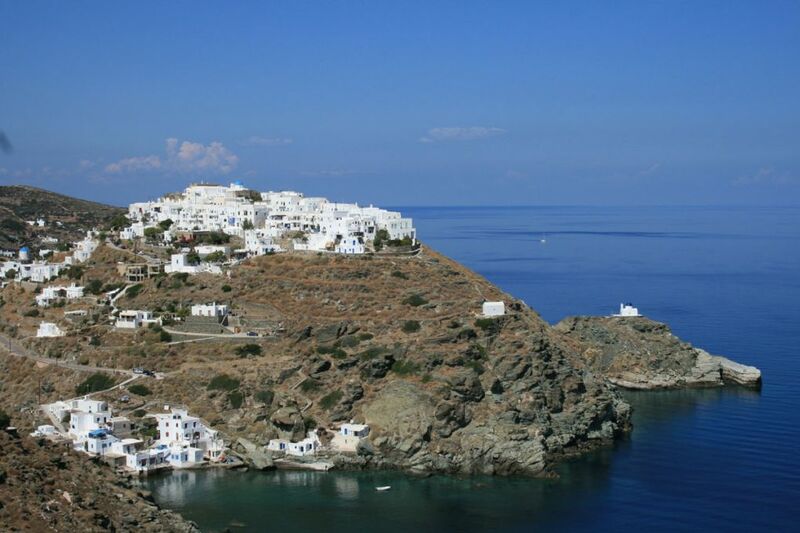 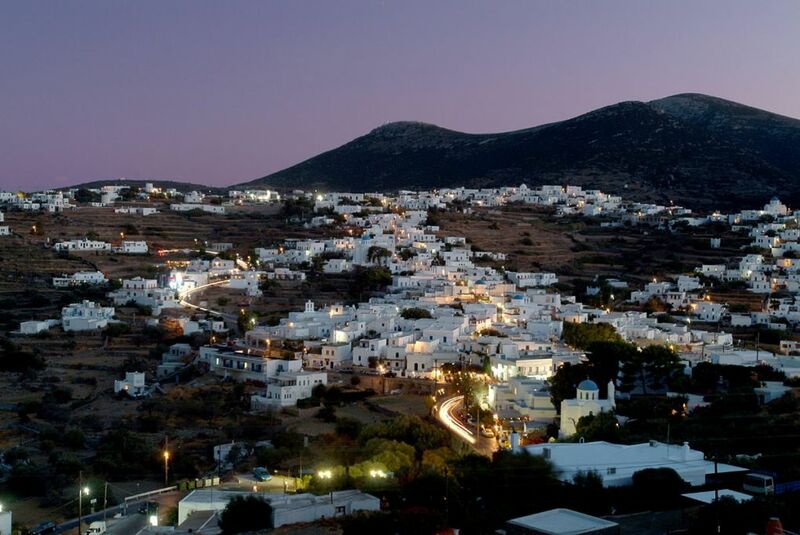 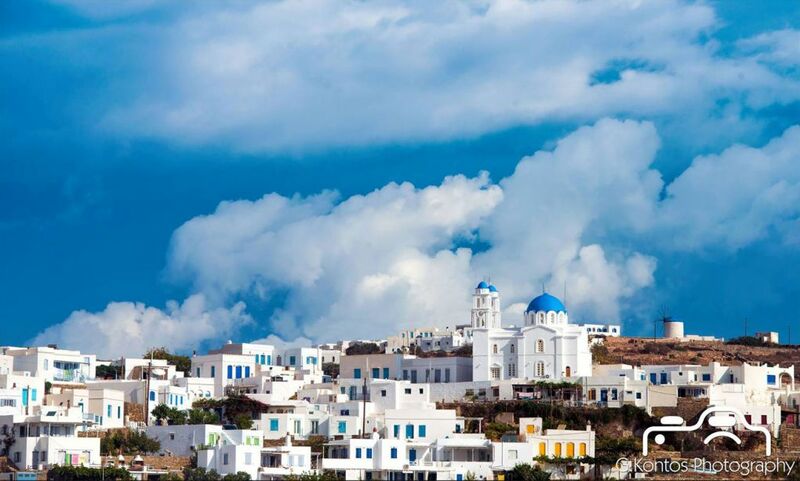 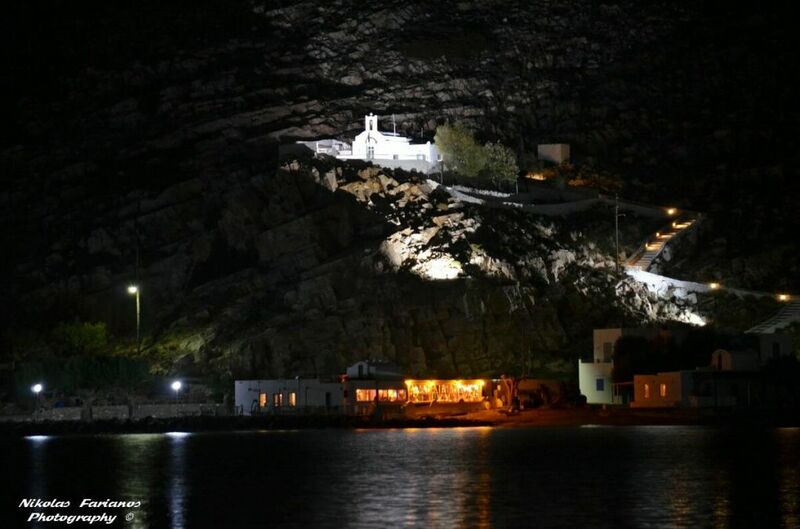 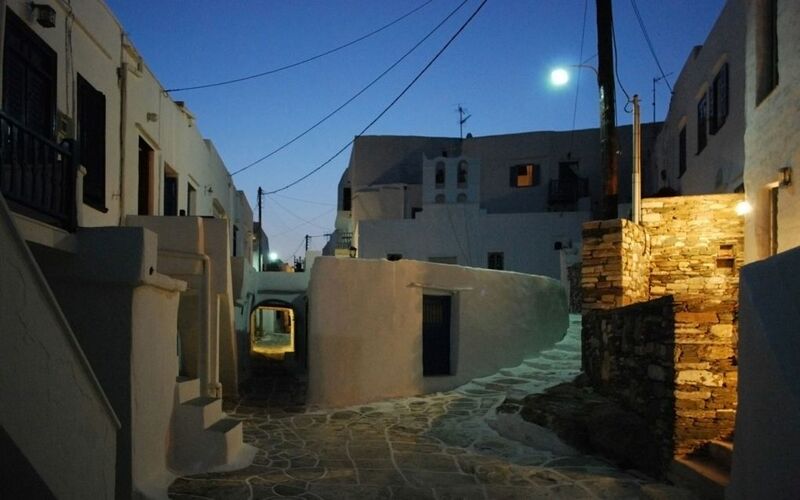 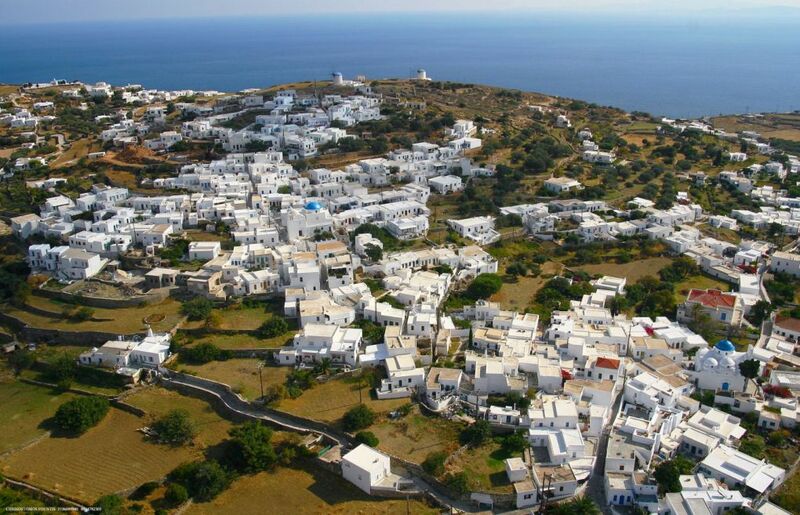 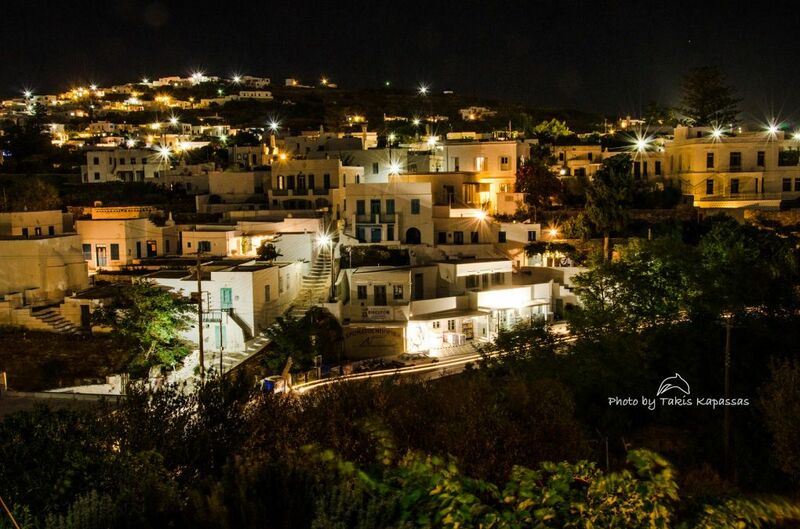 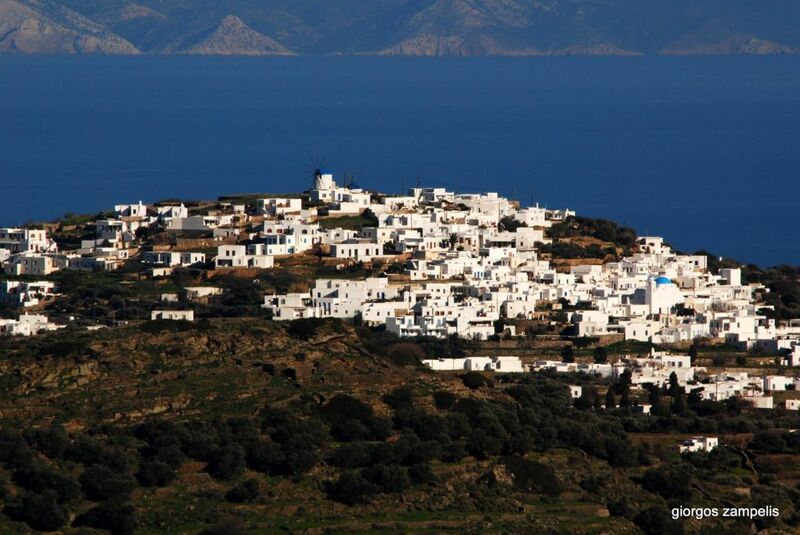 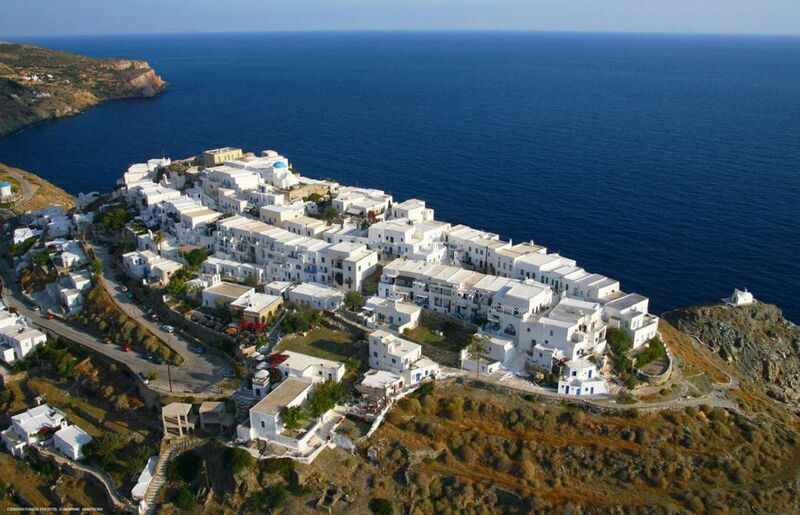 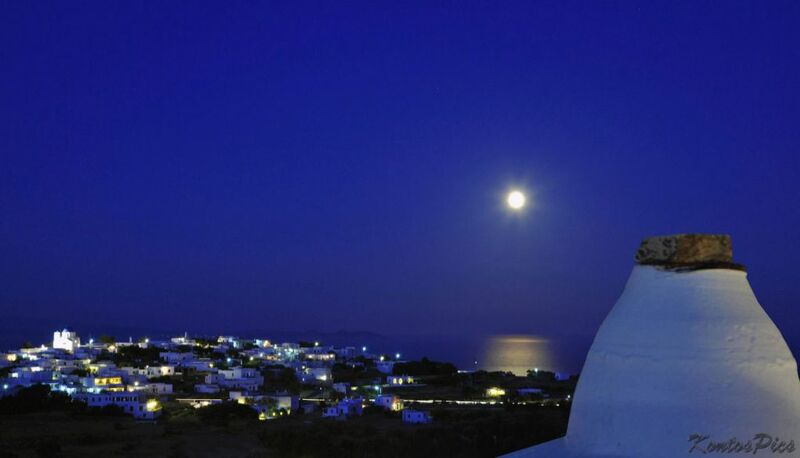 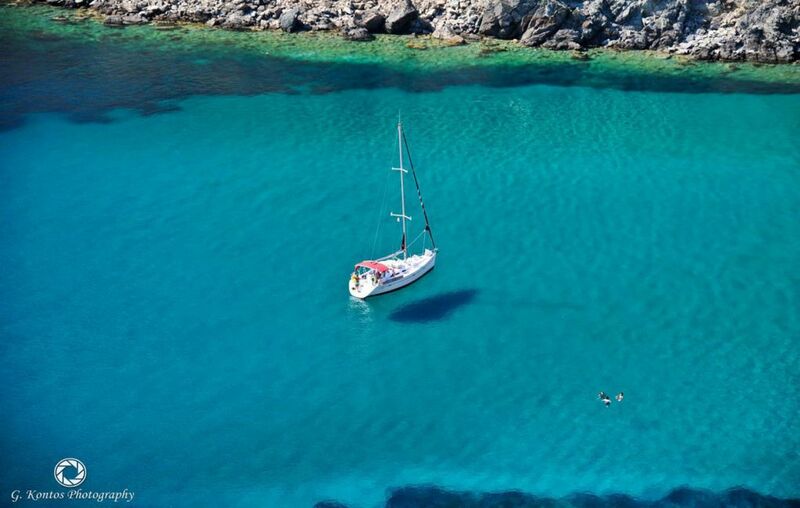 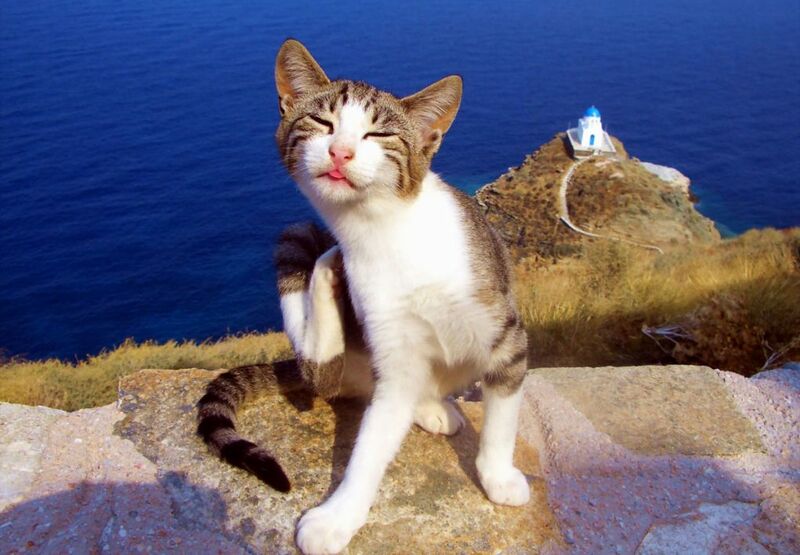 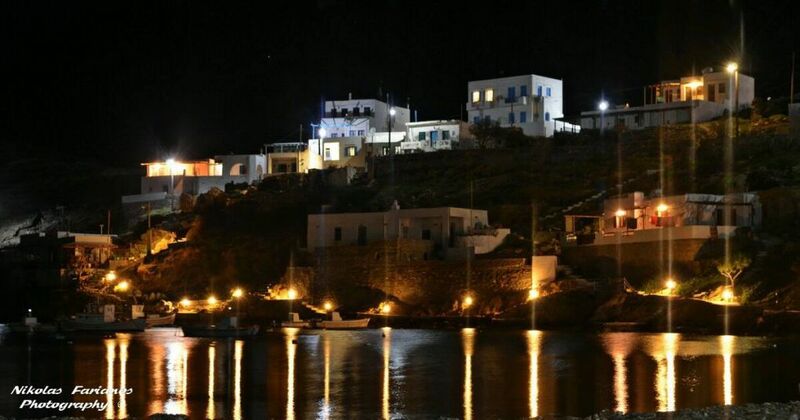 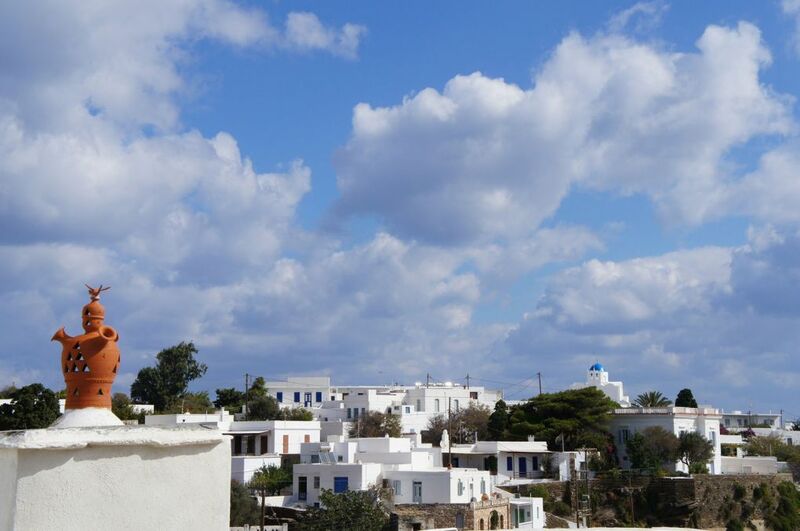 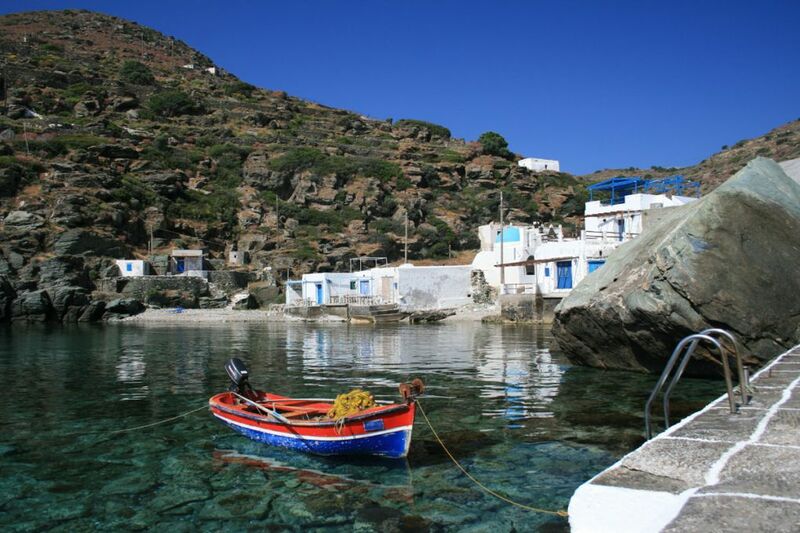 Kastro is the old capital of Sifnos and the seat of Sifnos’ Archdiocese (6th-19th centuries). 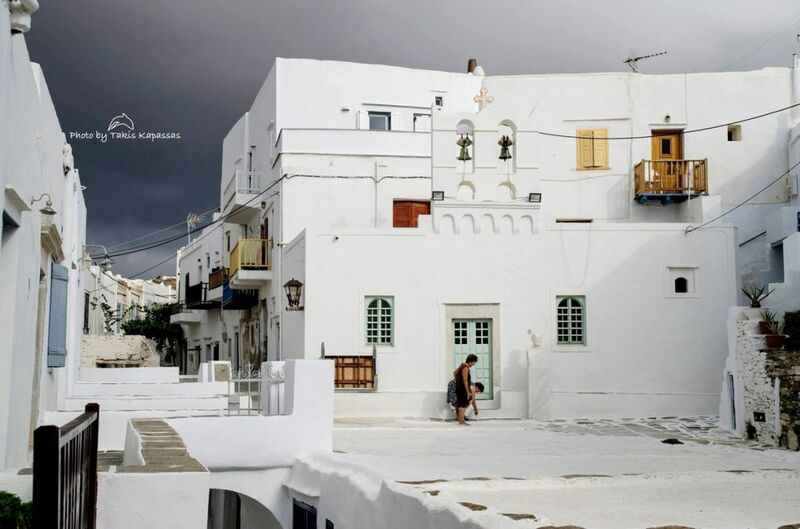 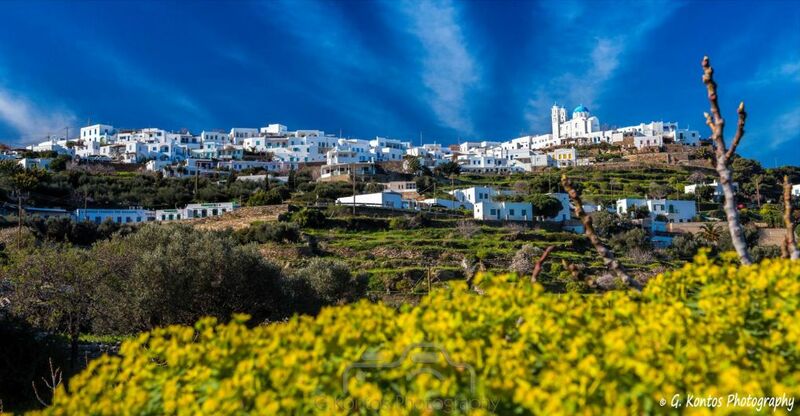 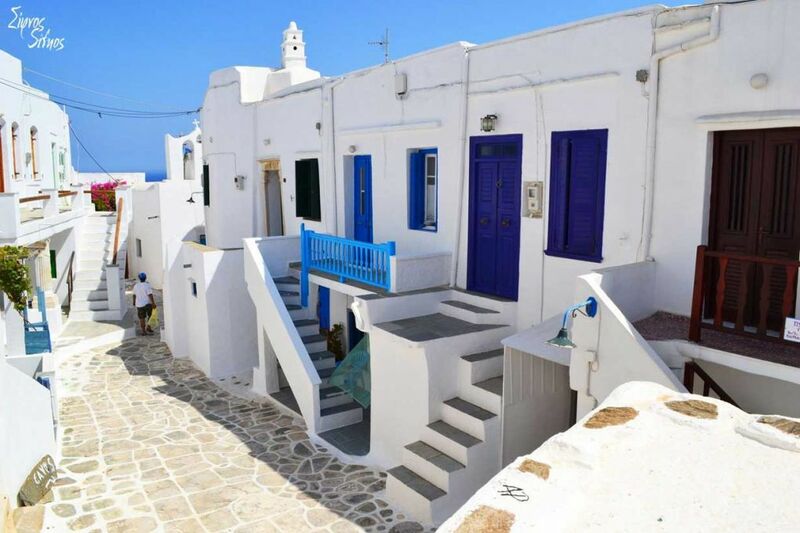 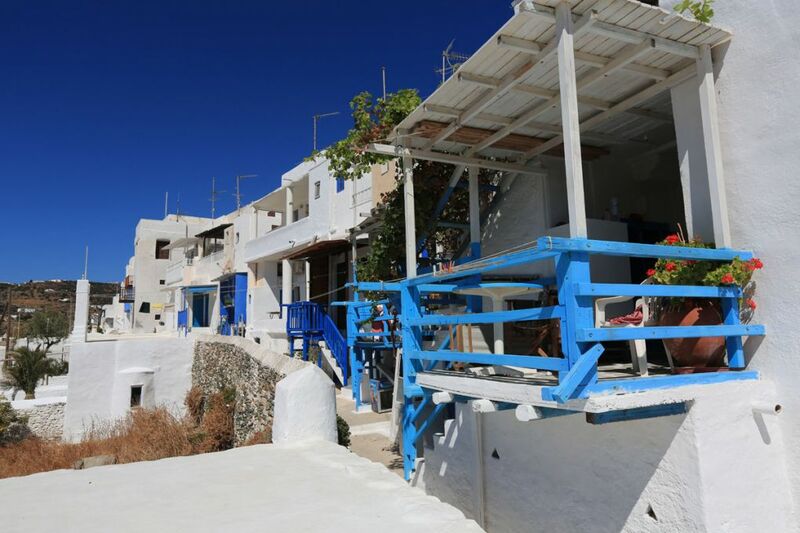 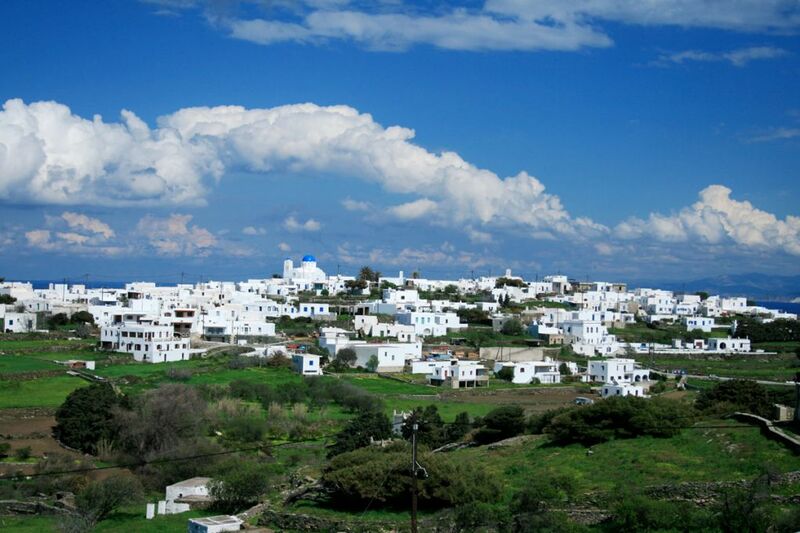 Kastro is one of the most picturesque and beautiful villages and the most important village of the island from an archeological point of view. 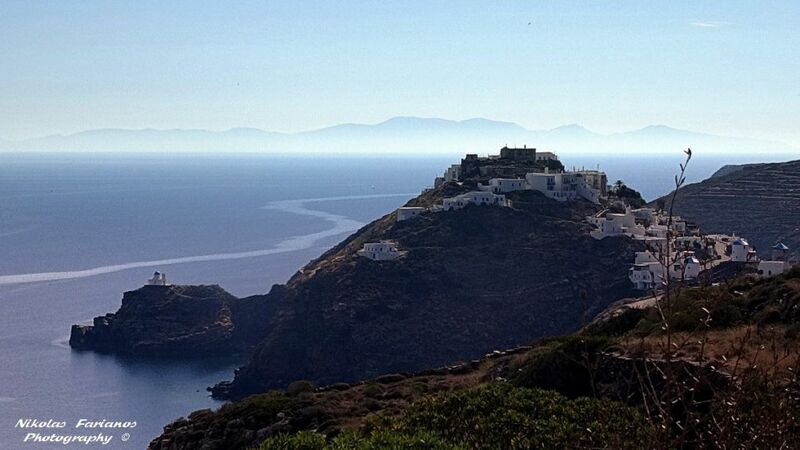 The ruins of the ancient citadel dominating on the top of the hill (6th century B.C.) 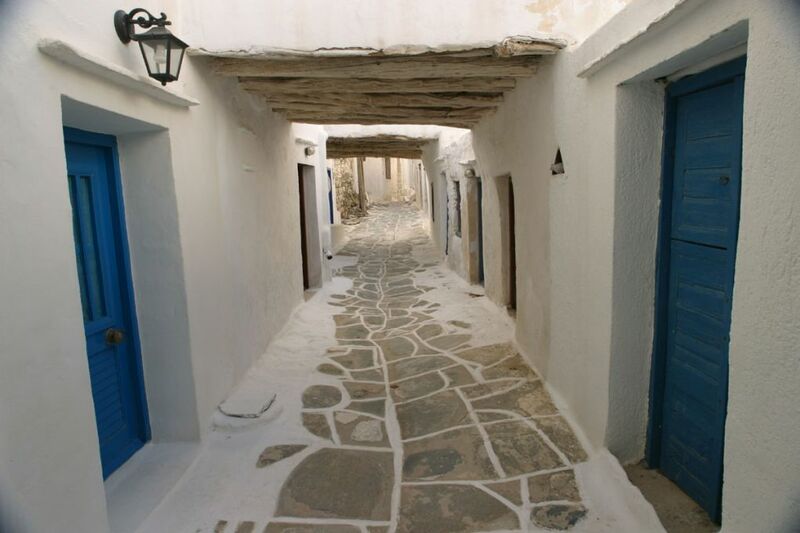 the ancient columns that are embodied in the latest buildings, the roman sarcophagi lying on the alleys, the six “loggias” (gallery-shaped entrances of the village), the churches of the 16th and the 17th century with their decorated floors etc. 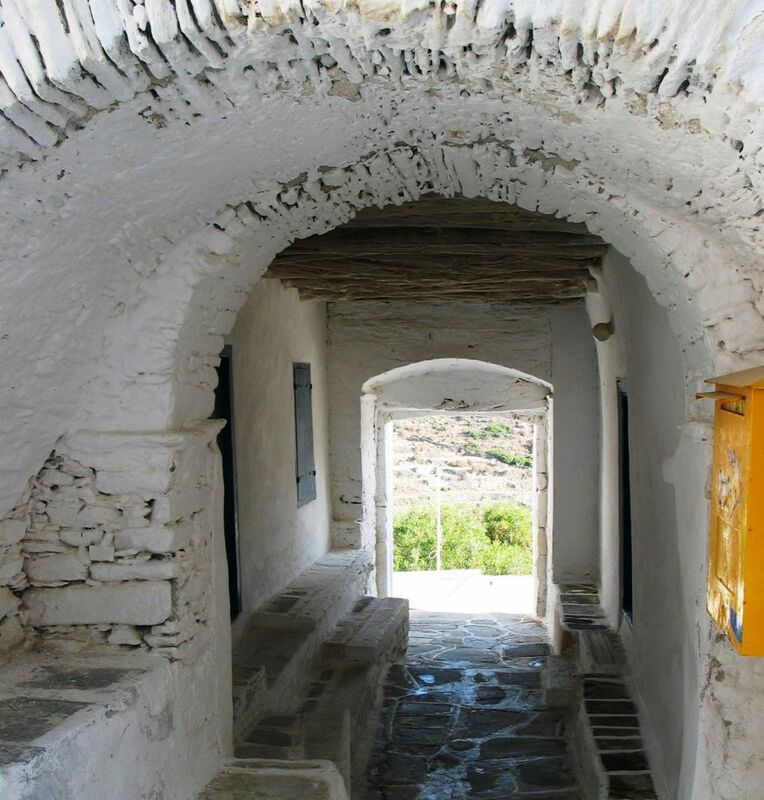 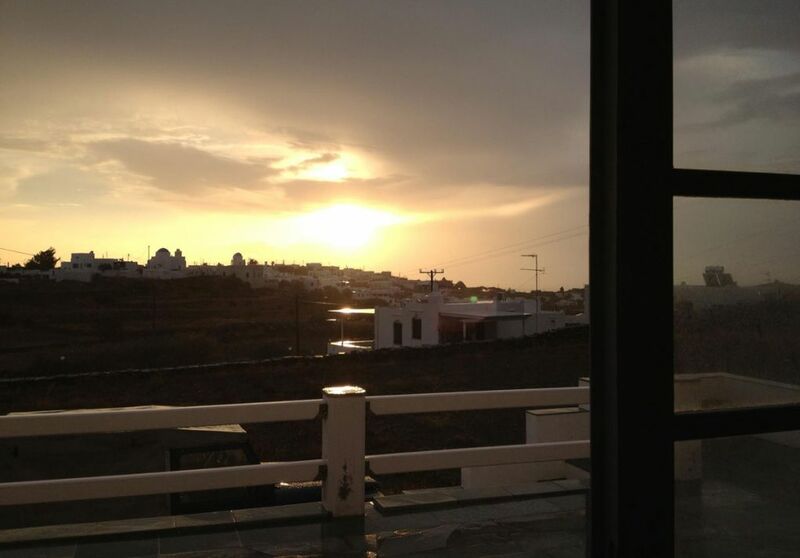 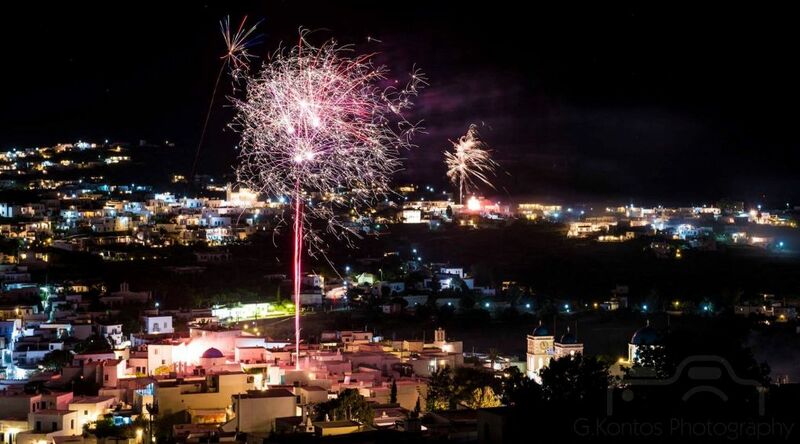 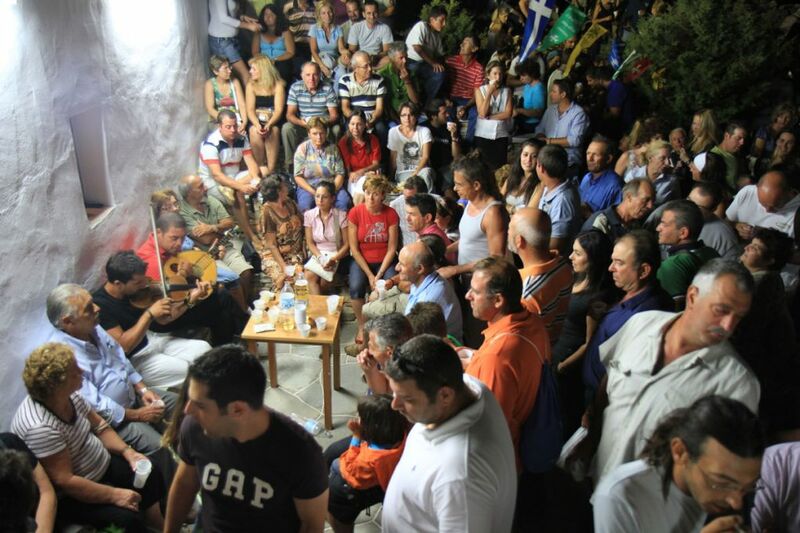 make Kastro an open museum. 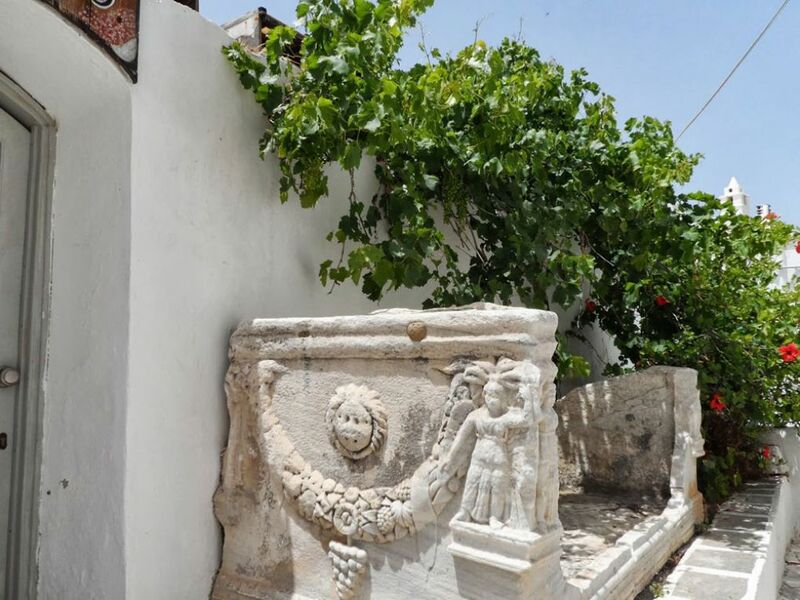 At the center, there is the Latin cathedral and near it, the column bearing the inscription of Giannoulis Da Corogna that dates back to the 14th century. 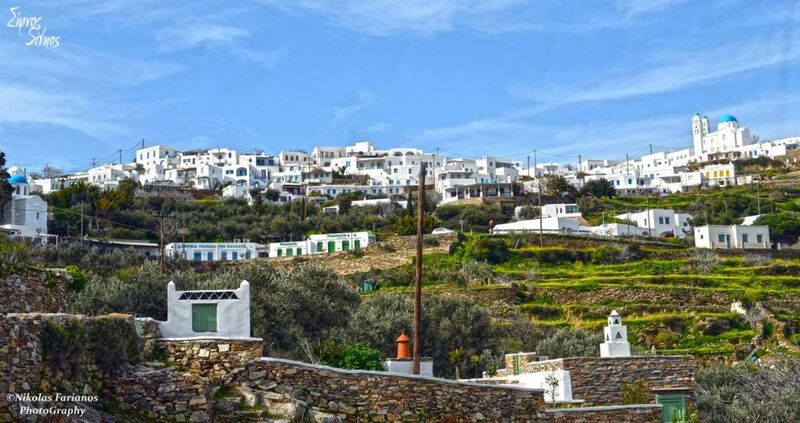 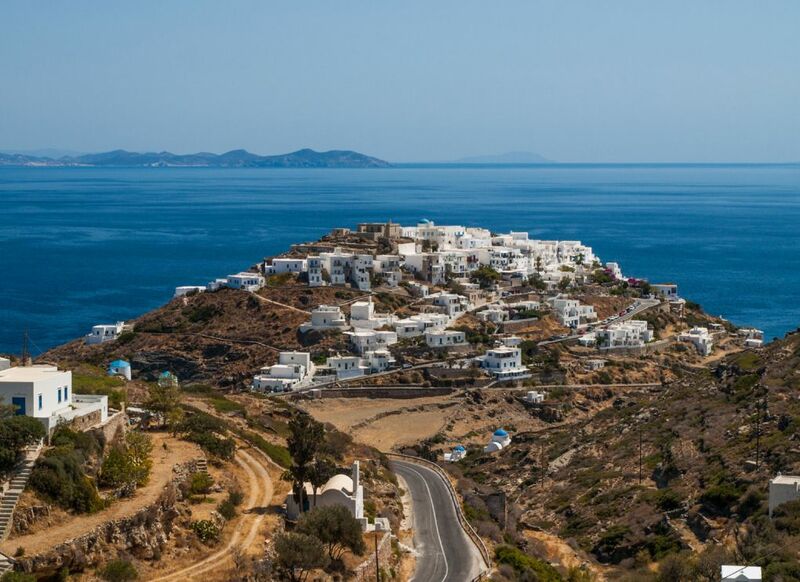 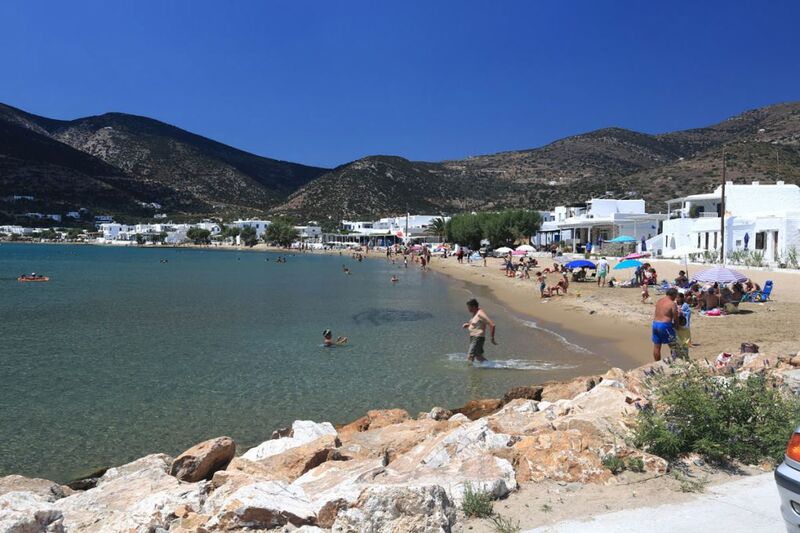 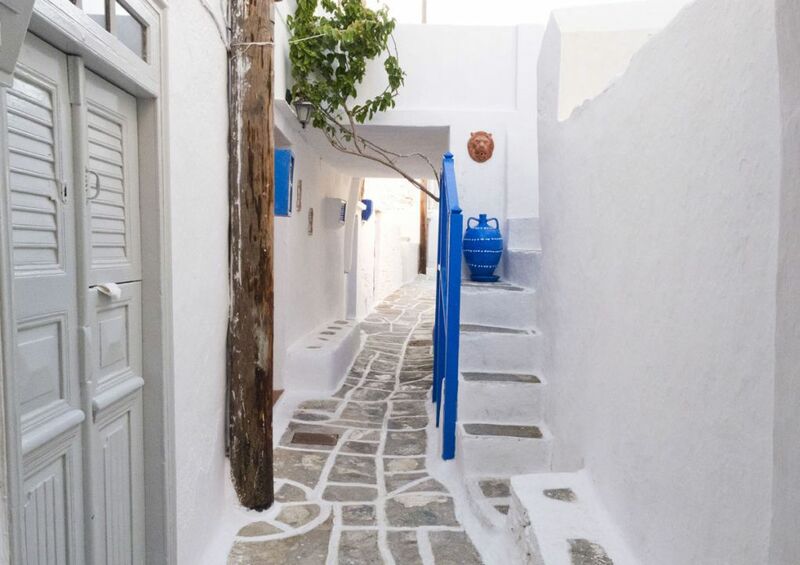 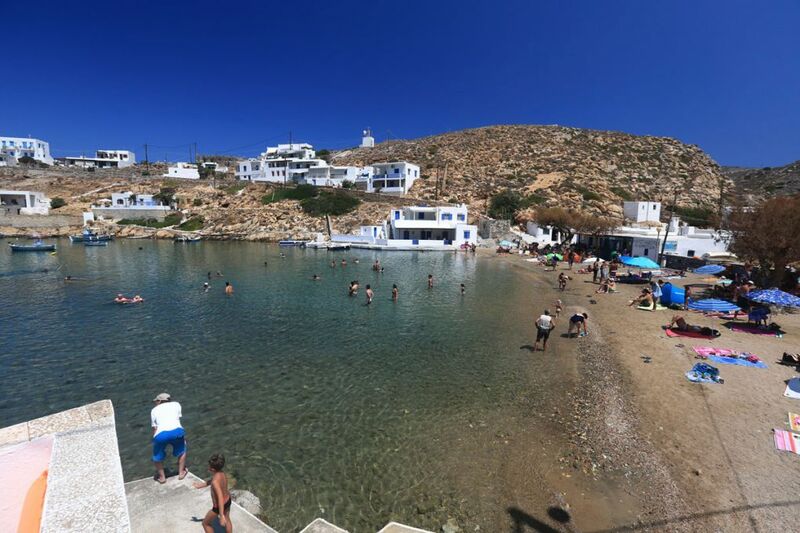 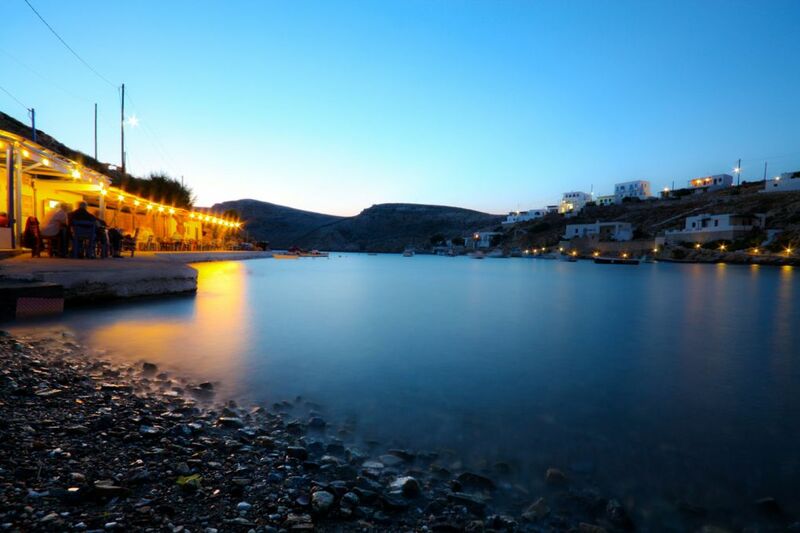 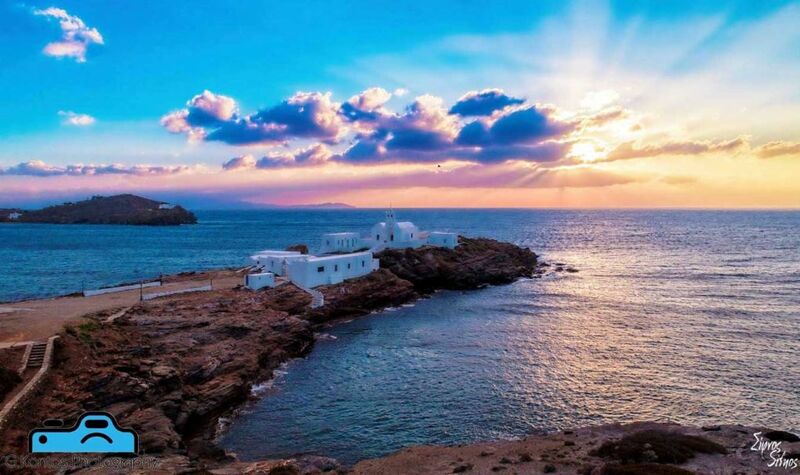 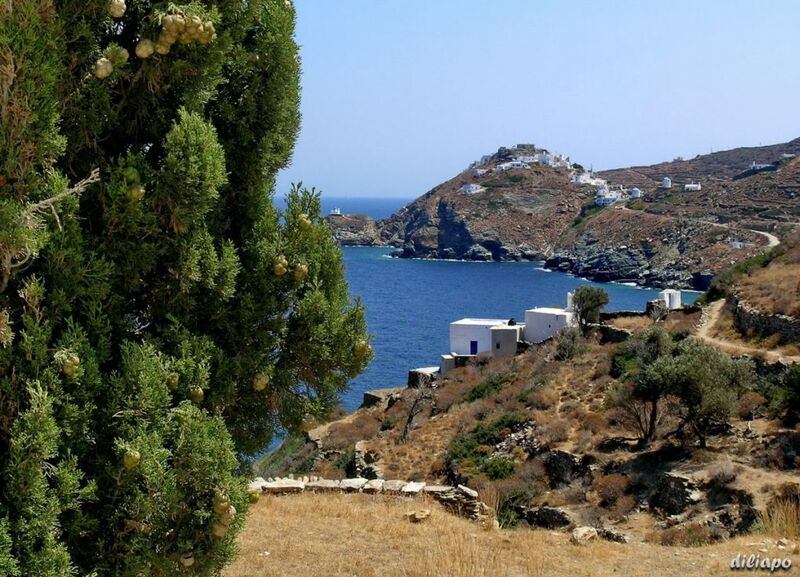 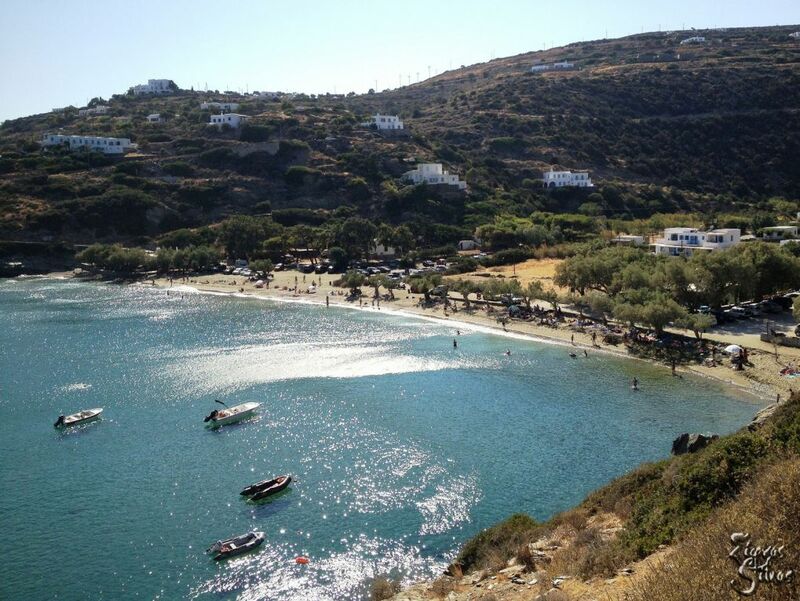 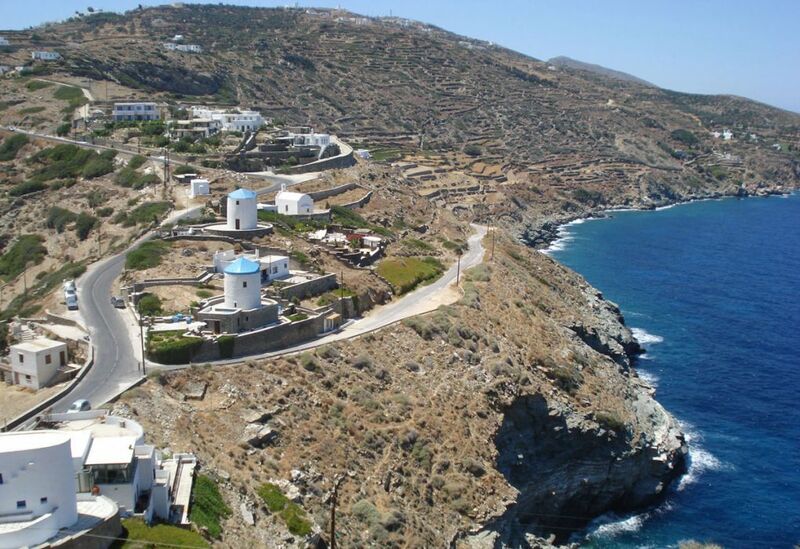 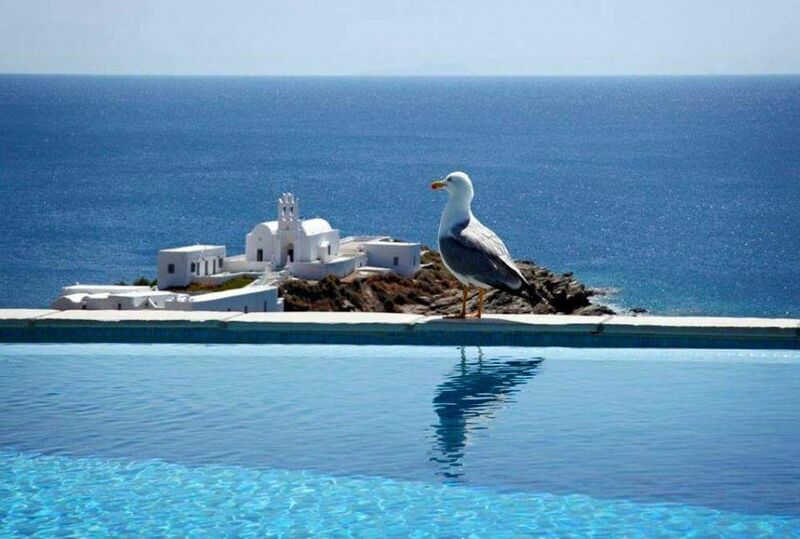 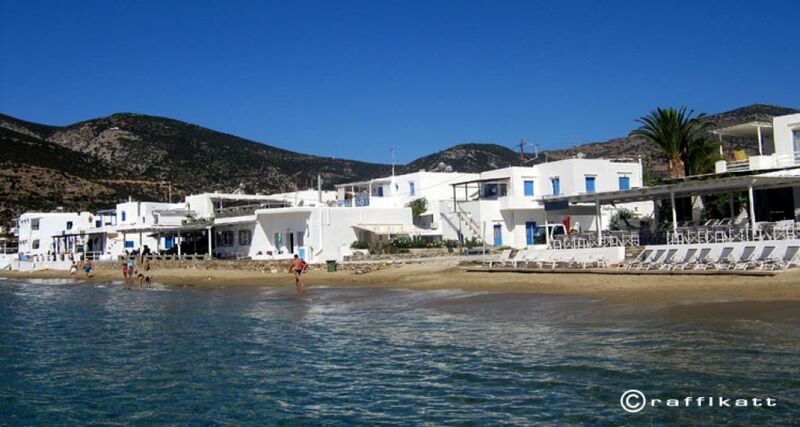 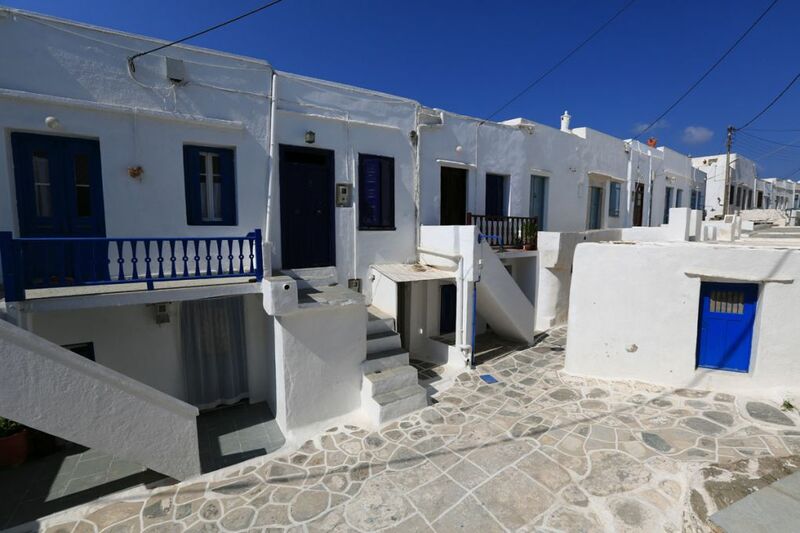 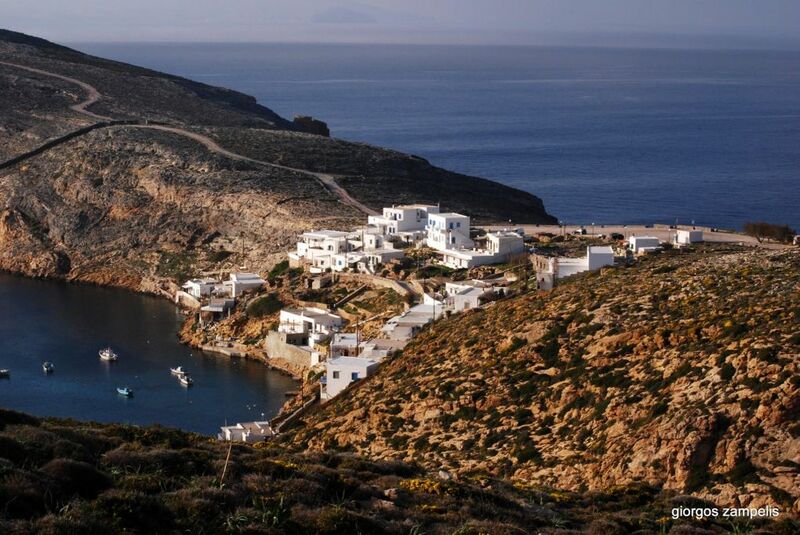 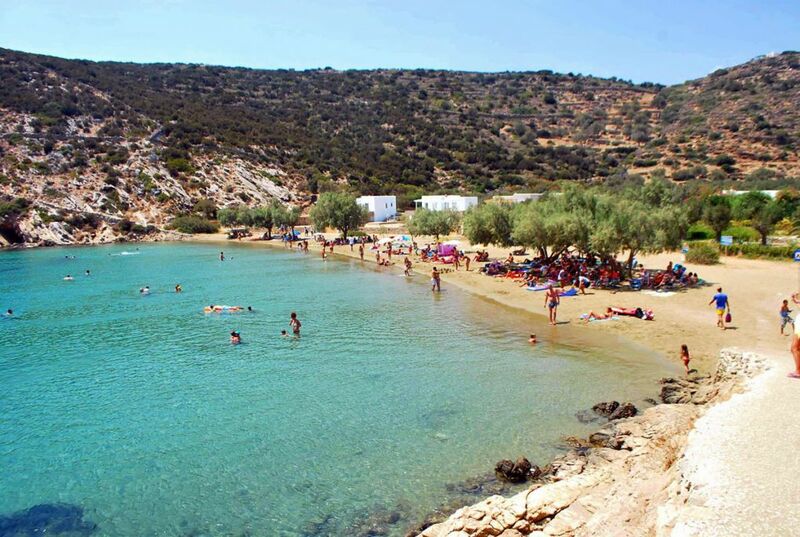 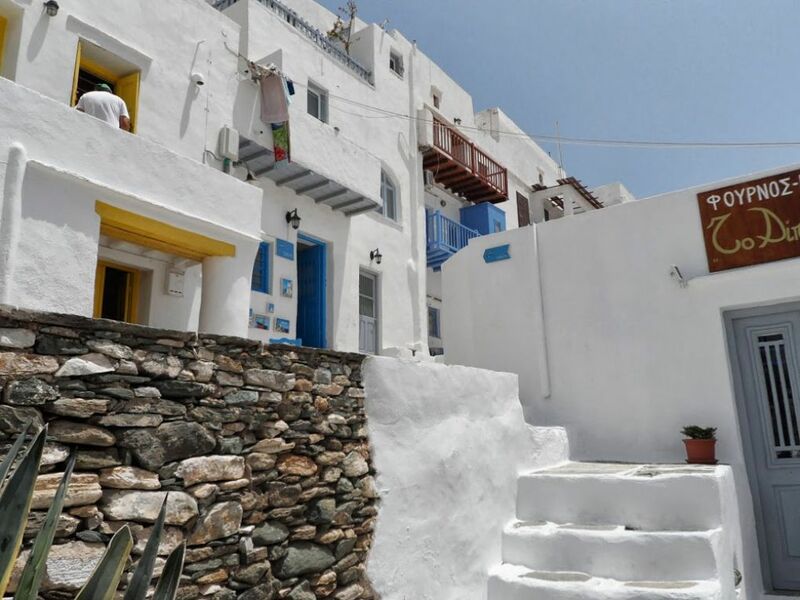 Near this area, there is also the Archaeological Museum of Sifnos, which houses exhibits (mainly sculptures and coins) dating from the prehistoric to the roman period. 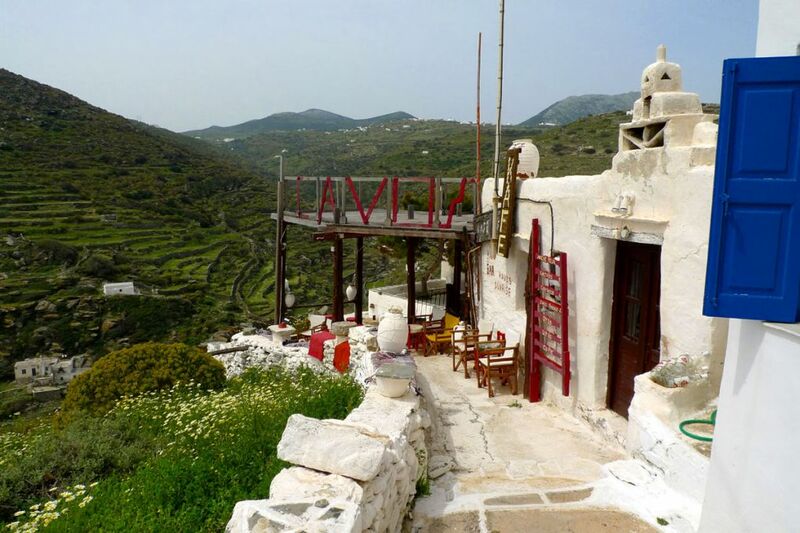 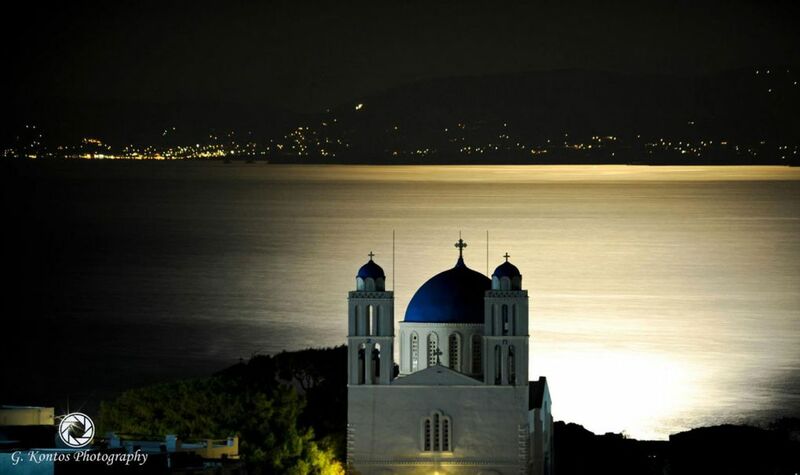 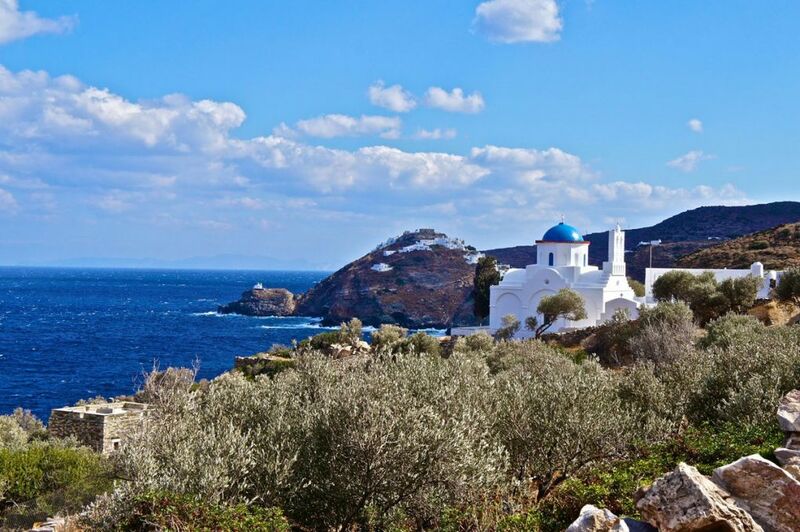 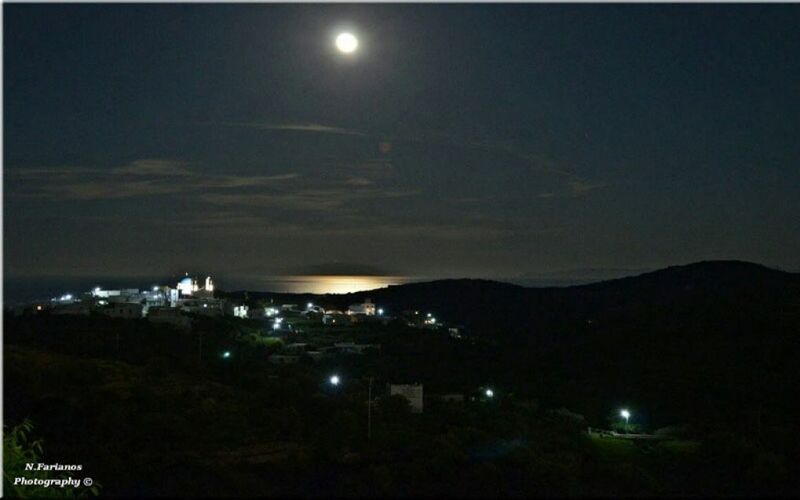 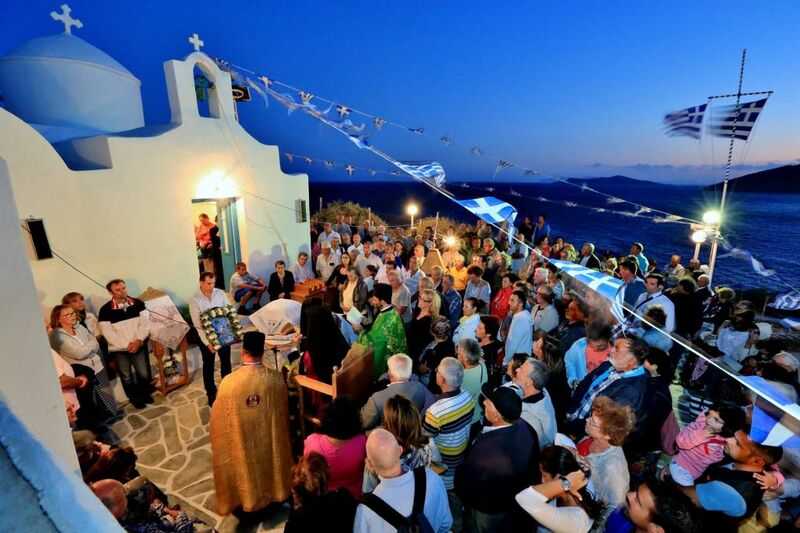 To the east of Kastro, the picturesque country church of the Seven Martyrs (Eftamartires) on the rock and the open view of the sea are magic. 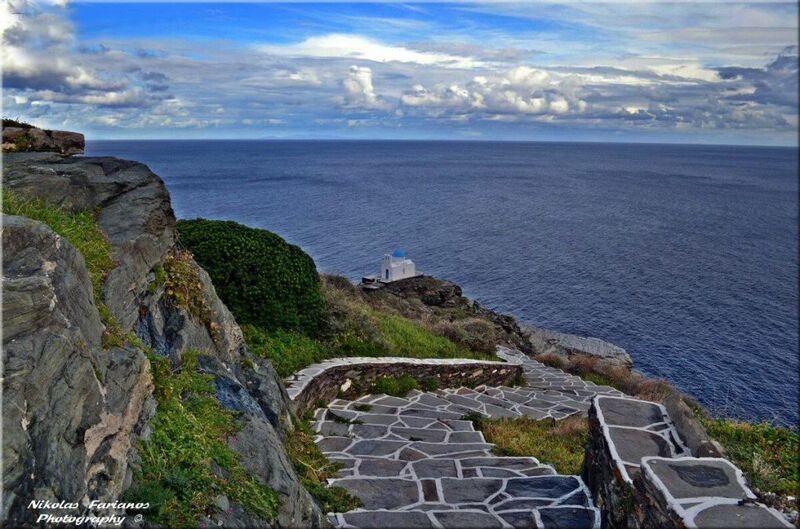 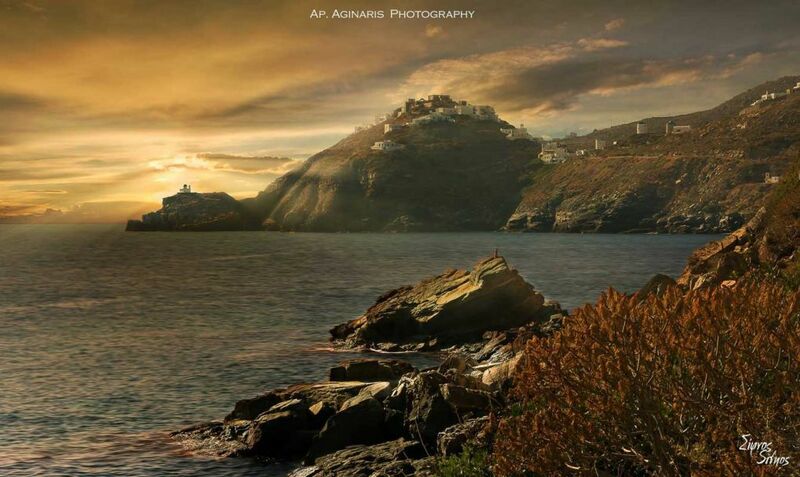 To the north, the ancient path leads to Panagia Poulati (Virgin of Poulati), a landscape of “perfect beauty” and ideal for plunges from the rocks. 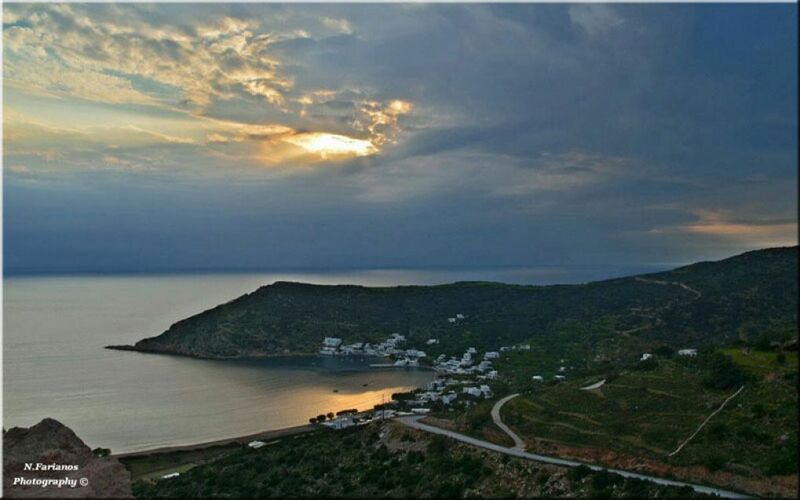 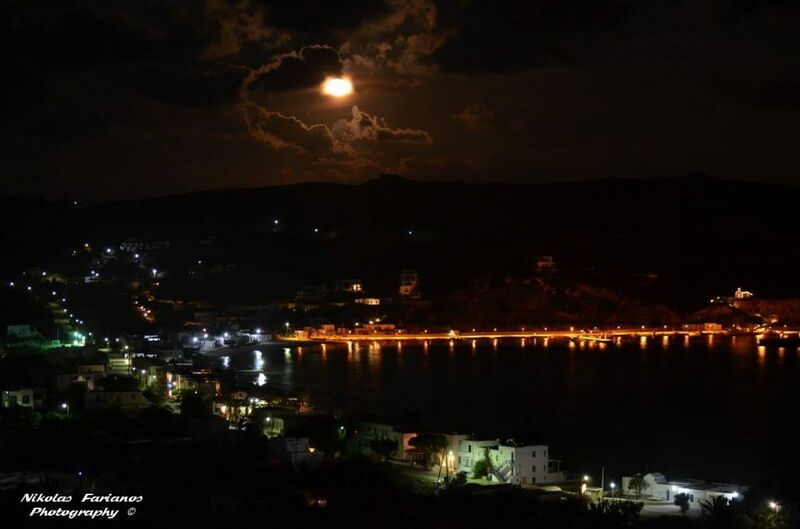 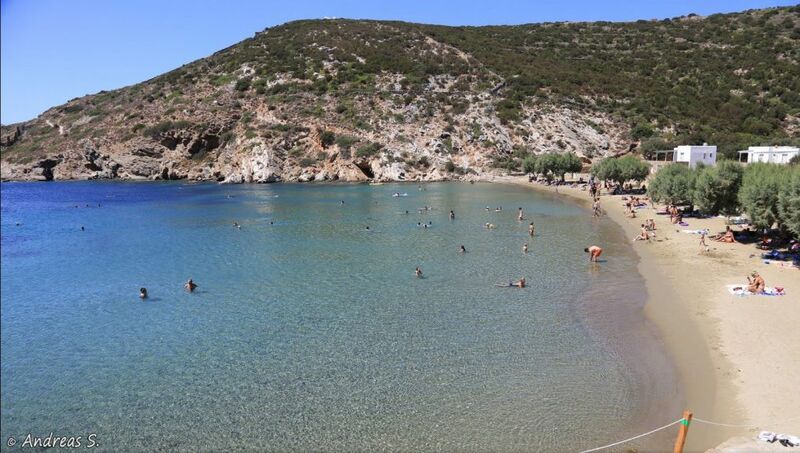 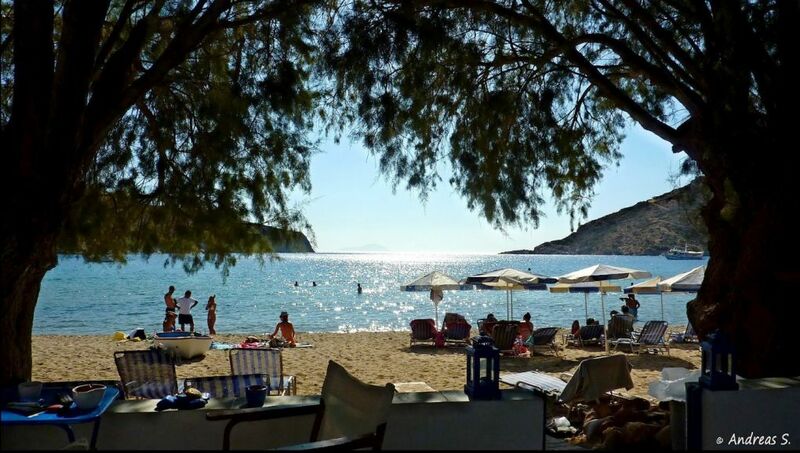 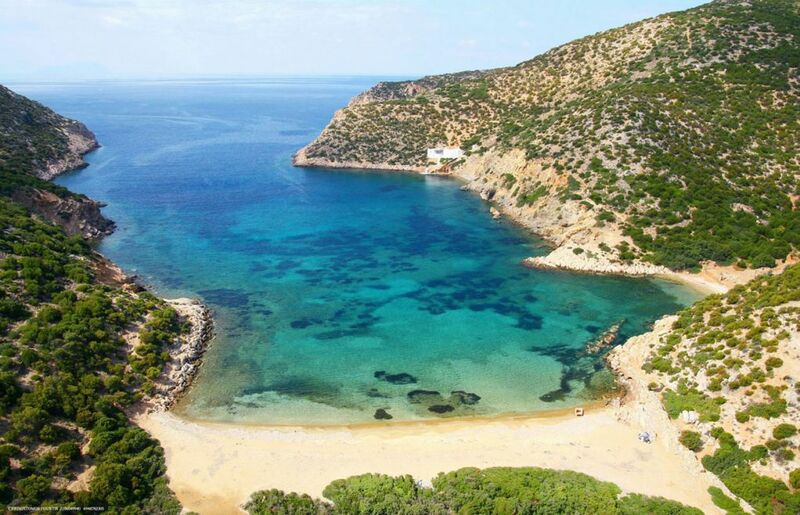 To the west of the village and under the foot of the hill of Kastro there is the small pebble beach (ancient port of the island) of Gialos or “Seralia”, a name deriving from the Turkish word saray (=palace), because of the palaces that once existed in this area. 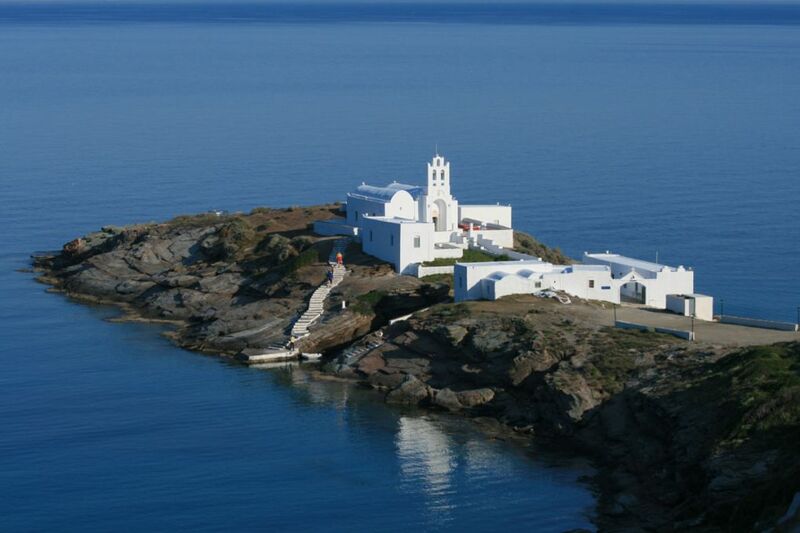 The first school that we know of functioned in Kastro (beginning of the 17th century) as well as the famous School of the Holy Sepulcher, also known as the “School of the Archipelago” (middle of the 17th century), at the location where today are situated the twin churches of Saint Stephen and of Saint John Kalivitis. 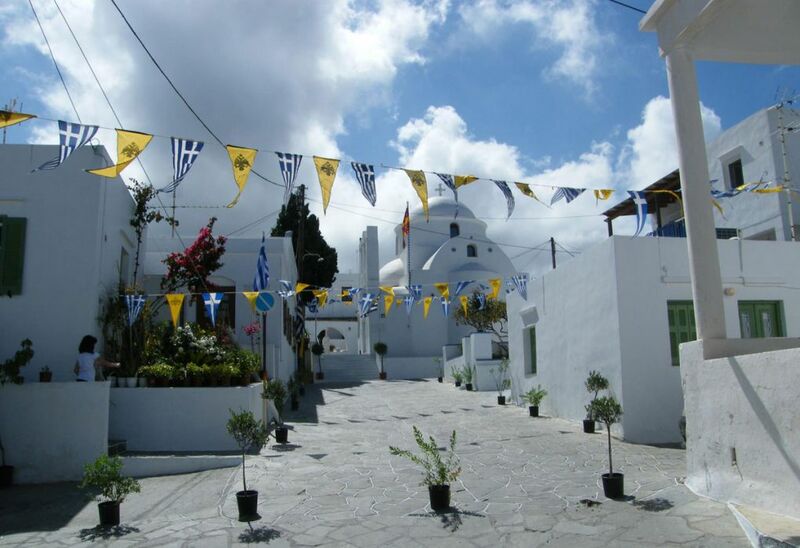 Great teachers and priests graduated from this school, such as Nikolaos Chrissogelos (who later became a teacher in this same school and the first Minister of Education of the Modern Greek State), forty eight Metropolites and two Ecumenical Patriarchs. 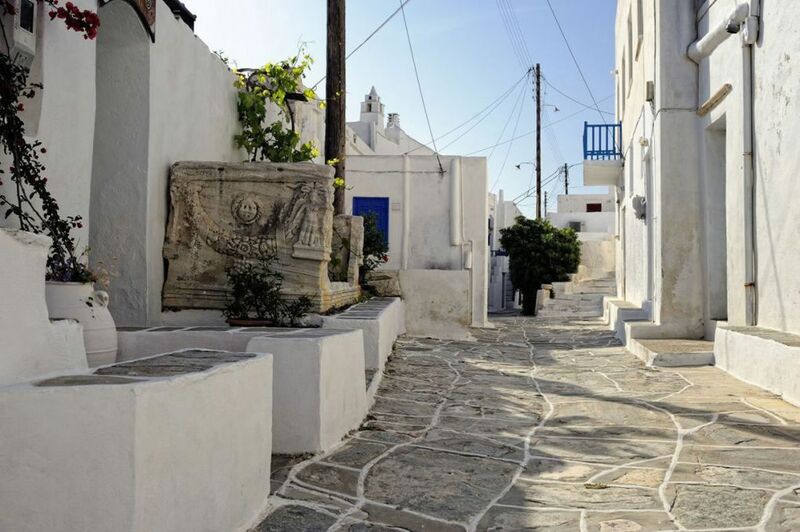 Kastro was the birthplace of the university professor and academic Georgios Maridakis – his marble bust is situated outside the church of Saint John the Theologian- and of the president of the Court of Cassation, Antonios Zilimonas. 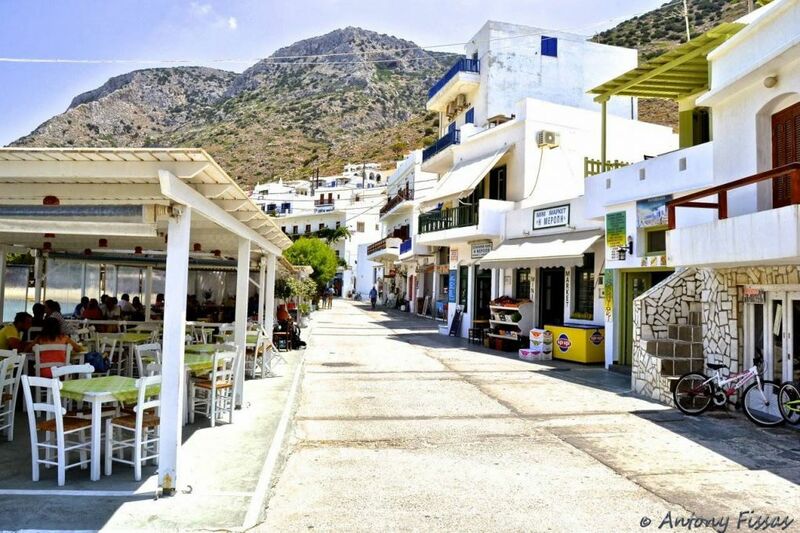 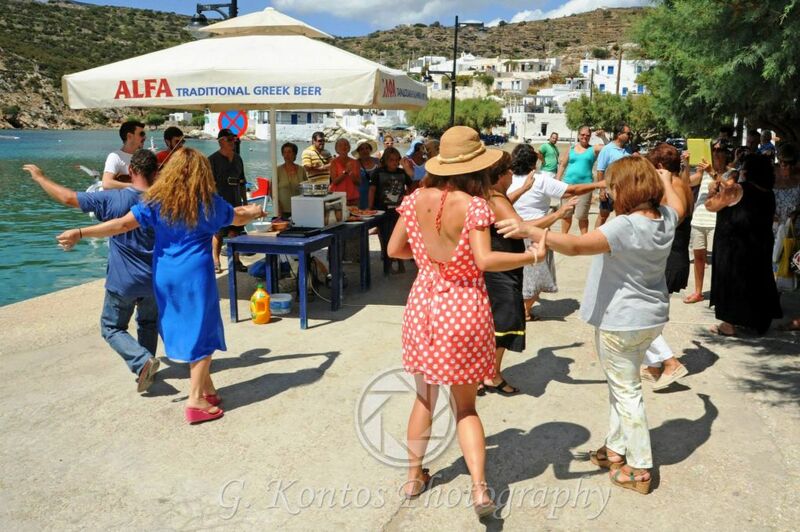 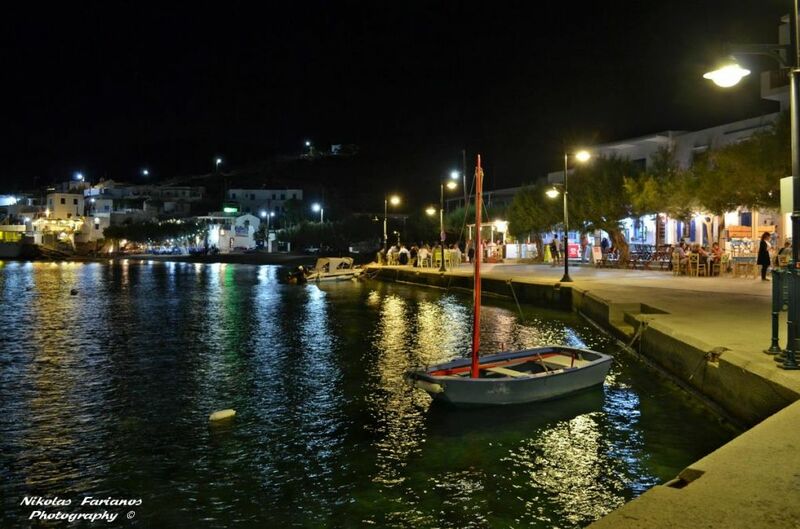 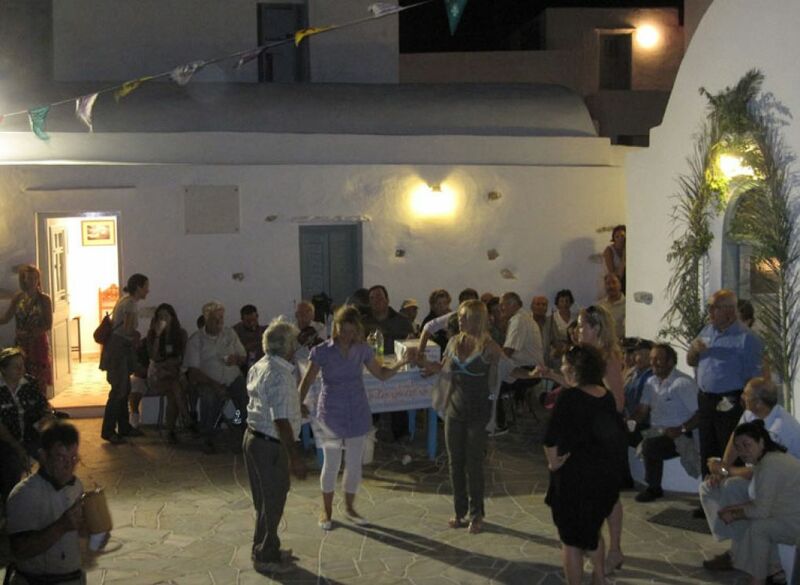 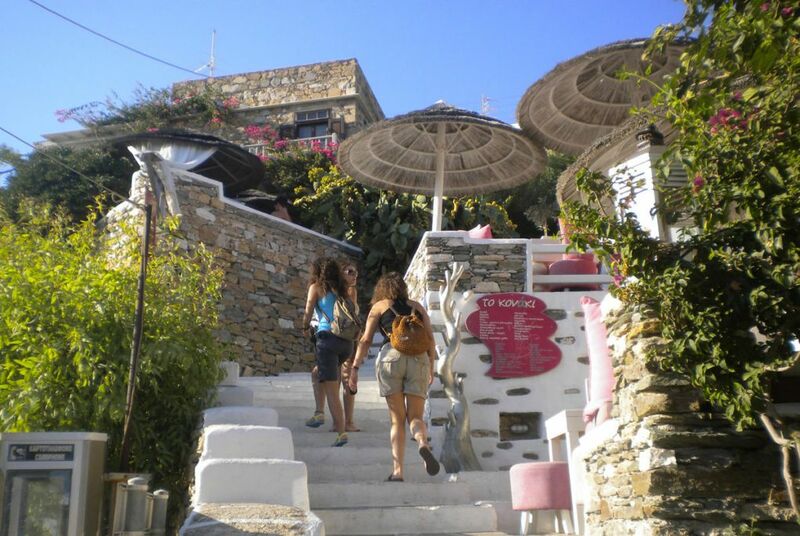 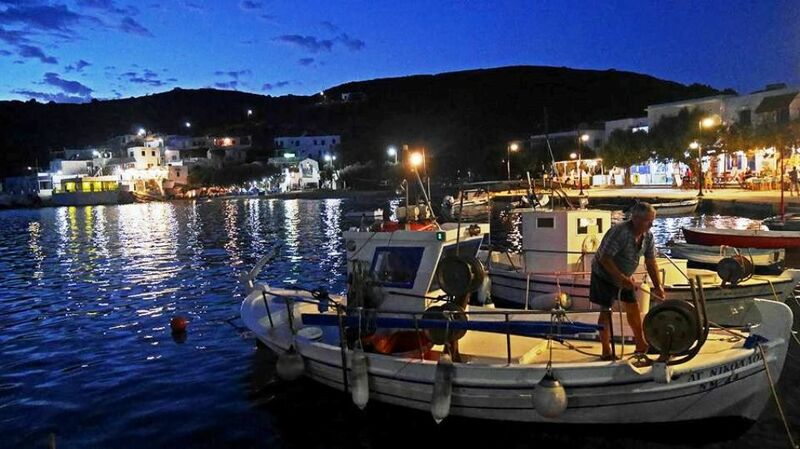 In Kastro there are many rooms to let, taverns, patisseries, cafes and bars while on the beach of Seralia, there are some fish taverns.